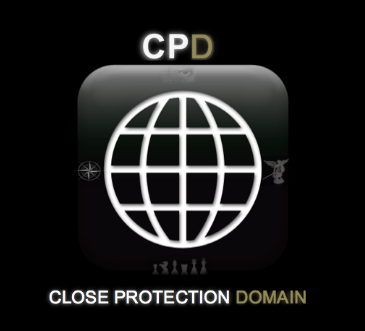 Are you constantly on the go and don't have time to log on to CPD everyday? Do you just simply like the ease and comfort of receiving job alerts directly on your smartphone in order to be the first to react and send your CV? Subscribing to CPD job alerts is easy. Simply register using PayPal and the email address you use for payment will automatically be added to the CPD job alert subscribers database. For £5 per year CPD guarantees a minimum of 200 offers sent to your inbox. Done for me thanks in advance for the futur advertises! I have been very busy these past few weeks with little time to take good care of the forum and no job alerts have been sent out. But once the summer i over plenty of job alerts will be sent out. @Ted, do we get more jobs alerts if we subscribe? I mean, you send out first to subcribes members, and for jobs where is no interest are published public? I haven't sent out many alerts recently due to a dense schedule, but yes the people who subscribe get more on the alerts than what is on here, I put a couple on here to keep the forum a little busy, but not as much as what is sent on the alerts. Just going to sign up for the job alerts. Looks like a really good service and looking forward to see what opportunities come my way. Gonna sign up for this. Hopefully something will come of it. Any jobs that come my way the job alert subscribers get the intel first. Is there anyway to subscribe without signing onto paypal? OwenSL wrote: Is there anyway to subscribe without signing onto paypal? Yes, if you click on the link there is an option to pay without having a PayPal account, you will need a bank card. Have signed up. Looking forward to recieving perspective tasks. What's the craic with this then?! Happy to take a punt on this for the sake of 5 nicker. Hope everyone is receiving the job alerts as they have been sent quite frequently these past few weeks. Signed up . Look forward to some decent openings ! Are we still receiving CP Job Alerts as I don't seem to have received much in the way of opportunities even though I'm a paid up subscriber. I made my next payment for the year back in March so hope to be receiving some "notifications" soon.